THE WRITING BUDDHA - Opinions | Books | Movies: LIT FEST X: India's 1st Online Lit Fest is now A Success Story!!! 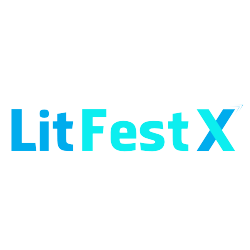 LIT FEST X: India's 1st Online Lit Fest is now A Success Story!!! The Lit Fest X which I had asked all of you to follow has created several records which no other literature fest had managed to do in India. It was the first online literature fest where readers and audience could watch their favorite authors on Youtube without visiting any venue. Readers were also given chance to ask questions and get the reply live by the great personalities who turned up for the amazing sessions. The Lit Fest X was an initiative by LeapVault and got presented by none other than Kindle. This itself tells the kind of value the Fest has displayed in its 10 days of schedule. The total number of views that the video sessions got in this tenure is now 5,00,000 +. It's unbelievable but that's the success story behind a great initiative by one man army- Kumar Bagrodia who himself handled more than 100 sessions without any other person on the board. The energy that he displayed for almost 1.5 weeks has been incredible and motivates you as an audience to watch more sessions even by the personality you had never heard of just for this man. The newly created official Twitter account of the fest also managed to have 4000 Followers in such a short period of time. Even it's Facebook Page have managed 1000 people on the board without any aggressive promotions. After knowing about such a theme on any literature fest where people can enjoy the sessions being at their home, office or vacations, many newspaper published its advertisement free of cost. Such has been the support to India's First Online Literature Fest. All the videos of the sessions are available on Youtube. You can still watch it if you couldn't make it for the live sessions. I am waiting for the Season 2 of LIT FEST X and I wish it returns soon.